be quiet! 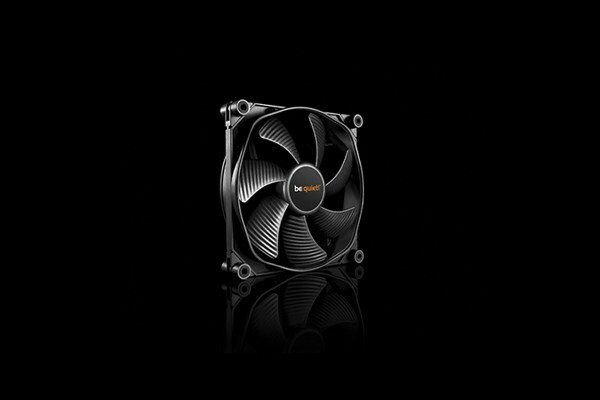 SilentWings® fans are known for their cutting-edge technology, virtually silent operation, and extraordinary cooling power. The third generation of this multiple-award-winning fan series offers unparalleled and uncompromising performance with many intelligent optimisations: a high-quality 6-pole motor, a durable fluid dynamic bearing, unique airflow-optimised fan blades, as well as a rubberised fan frame with funnel-shaped air intakes. The SilentWings® 3 120mm high-speed model produces extremely high air pressure, making it especially well-suited for use in high-performance water- and air-cooling systems.